Congratulations on another week of being pregnant! You are now entering your 28th week, which is also your seventh month. Hard to believe isn’t it that you have now been pregnant for seven long months, but the wait is almost over because in exactly two months, your baby will be born. By now, the nursery should be close to being ready, and by now, you should also know if you are carrying a little boy or a little girl. 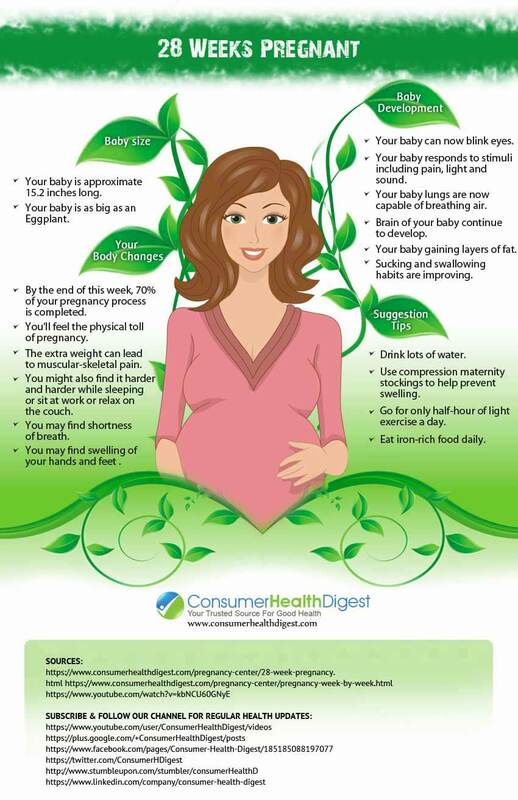 This article provides an overview of the fetal development, maternal changes, signs and symptoms and some interesting facts about the 28th week of pregnancy. Amazing fact: Some women can be pregnant to last for a whole year. The world’s record for longest pregnancy ever clocked in at 375 days. Height of The Baby: Very close to 15 inches long. Weight of The Baby: 2. 25 pounds. The baby is preparing to come into the world in about two months, and he or she is starting to look more like a baby with things like eyelashes. The baby’s brain is also growing and putting on more weight, which will help prepare him or her for living outside of the womb. What happens to the Maternal Body? Since you are now officially in your seventh month, your doctor may be preparing you more for the birth, and this may also be the time when the doctor wants to conduct a few blood tests. This is the time for your obstetrician to check for prenatal diabetes, which will mean a glucose test. During the seventh month, some women get RLS, which stands for Restless Leg Syndrome caused by the pressure of the growing baby on the uterus, which is likewise affecting the veins in the lower body. Also, this is the time when some women develop preeclampsia, which is when a woman has a problem with controlling her high blood pressure. With the right care though, preeclampsia does not affect mother and child, and women are able to go to full term with their pregnancy. For the seventh month, the best thing for mom to do right now is to rest as much as she can, and also do things to make the RLS feel better like massaging the legs with a vibrating pillow or take mild medication to help with the condition. Typically, women only have RLS during pregnancy, and never have the issue again once the baby is born. 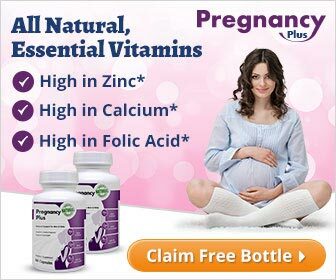 Note: Talk to your doctor about the right medication to take during pregnancy. Added Information for Pregnant Mothers: Is Prenatal Yoga Safe or Not? Pregnant women are encouraged to exercise while they are pregnant, and prenatal yoga is a popular choice because of the fact it is low impact. Also, there are many benefits of prenatal yoga like helping women sleep, teaching them about breathing, which will come in handy when labor begins, and also keep the muscles flexible and strong. These are actually a plus benefit when the time comes for the baby to be born. On the whole, the 28th week of pregnancy is the beginning of the seventh month of pregnancy, and now the health of the mother has to be watched closely for conditions like diabetes, Restless Leg Syndrome, and preeclampsia. Mom should be resting more than ever now because her body is preparing for the final two months of pregnancy, and the clock is ticking down to when the baby will be coming. The birth of a baby is an exciting time, and some women find it hard to believe that they are seven months pregnant, and cannot wait for their pregnancy to be over in two months or less.